Hanging drywall is the most popular and common way to finish an interior room today. It seems simple enough to mount the sheets of drywall and seal the seams with tape and joint compound, but even the smallest mistakes ruin the smooth look. Joint compound is irritatingly easy to smudge, dent, scoop and gouge while you’re trying to smooth out those seams. 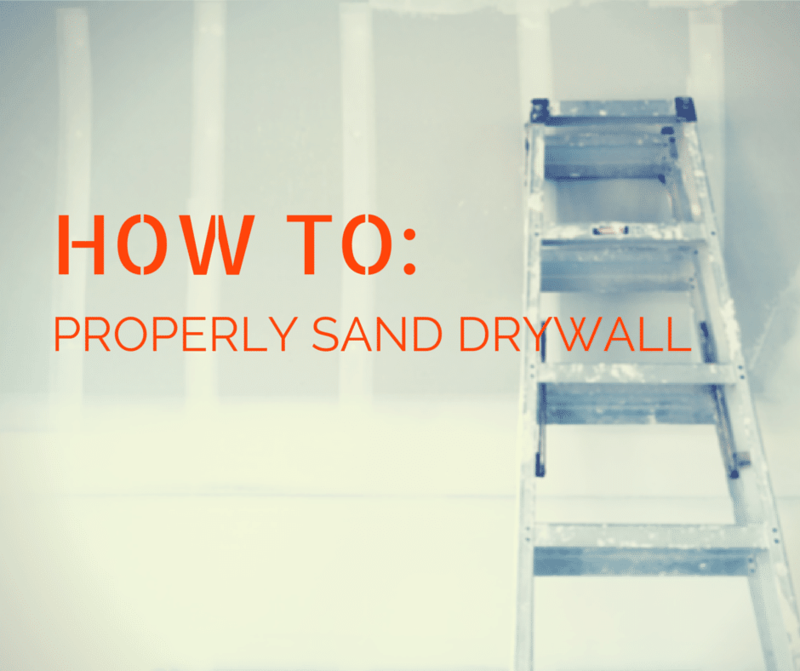 Spend a lot less time going over and over the same wall when sanding drywall by following this set of steps. After your initial application of mud, grab a shop light and angle it at the wall to get the best look at uneven edges, ridges, and other imperfections. Clamp or set the light nearby as you sand, then examine the area again after each pass until you find it smooth enough for your liking. The fine, lung and eye irritating dust produced by sanding drywall gets everywhere. Seal the room off with plastic and tape, then don plenty of safety equipment. A full body dust suit makes showering a lot easier after each day of sanding since the dust tends to clump up when it gets wet. Grabbing a loose piece of sandpaper and rubbing away at the wall is sure to increase mistakes and wear out your arm. Pick up a drywall sander instead. It’s a special trowel-like device that holds sandpaper and covers more wall space in one pass for even and smooth results. Bigger grit means faster removal, but it’s much harder to get a truly level surface when each movement takes off too much joint compound. Rough sanding also leaves paper tape fuzzy and lumpy through every layer of paint you apply. Stick with 120 grit or higher paper instead of grabbing the same sheet of 80 grit you use on removing old paint and splinters. The drywall sander works wonders over large open expanses of wall. However, you need a different tool for the corners and edges where there’s not much space for the sharp edges of a larger tool. An inexpensive and rough sanding sponge is the fastest and easiest way to get attractive results in small gaps. These tools feature one or more angled edges to reach tricky spots without damaging the delicate finish. High spots definitely need sanding down. No amount of sanding can help when the problem is a dip, depression, or line where the tape dips into a gap. Don’t be afraid to grab the bucket of joint compound and apply a few extra layers as needed to build up in certain spots. It’s a lot easier to add a little and wait for it to dry than resurfacing an entire wall because you brought one area down too low. Excessive sanding is particularly rough on the paper tape over the seams, so cover fuzzy and visible tape with mud instead of sanding it down again. Don’t expect to finish all the fine sanding in a room at once. If you’re hanging new drywall throughout the house, move between rooms to avoid getting frustrated with one particular challenge. Sand a little, let the spot sit or dry when compound was added, then come back later to bring a fresh set of eyes to the drywall. Taking a short break and circulating between different parts of the house also speed up the work by preventing you from getting burned out and sore by standing in one position for hours. Learning to sand drywall requires a lot of practice. Get the right tools and prepare to make a few mistakes during your first attempts.